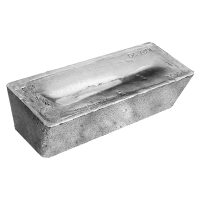 Buy 1000 oz COMEX Deliverable Silver Bars | ?? 1000盎司COMEX交付银条 These 1,000 oz good delivery bars are one of the most economical ways to buy large quantities of physical silver. Bars will be good delivery status and weight varies slightly depending on the individual bar. For further details or to order please call in. Brand and design may vary from the bar shown. Additional shipping charges may apply for this item. Call to order.